Food cooked with love makes dining in the Aphrodite Beach Hotel a different experience! 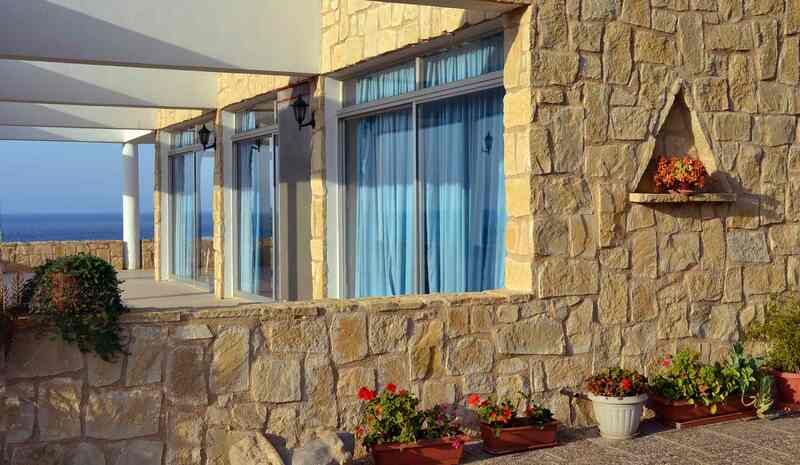 The Aphrodite Beach Hotel is becoming very popular for its fine cuisine. Alexandros, our extraordinary and fun loving chef, was part of the Cyprus Cooking Olympic Team between 1998 and 2001. He has been working in 5 stars hotels for more than 20 years and now we are very lucky to have him as part of our team to delight you with his cooking. He will make you love Cyprus food because it is fresh and pure and he uses spices grown in our garden: oregano, basil, cumin, cinnamon, cloves and others. Mousakka, Stifado, Dolmades, Pastitsio, Afelia, Prawn Saganaki and of course, fresh fish are some of his specialities. Dimitra is our pastry chef whose specialities are crispy Baklava, Galatopoureko, Kateifi, Lokoumades and Kalon Prama. Our guests queue up at the buffet, for a second portion of her deserts and they clap and cheer when we bring a new full tray of sweets. The Aphrodite Beach Hotel produces its own fresh fruits (figs, pomegranates oranges, mandarins and lemons), vegetables (avocados, olives and seasonable vegetables) and homemade marmalades that you can take home with you. Ask us to cook your favourite dish and it will be our pleasure to prepare it for you.